HMD Global has started rolling out a new software update for the Nokia 8 that adds a new Camera Pro mode with access to manual controls similar to the manual mode seen on Nokia Lumia smartphones. The new software update available for the Nokia 8 adds the Pro Camera mode that adds manual controls over the white balance, ISO, shutter speed, exposure, and more. HMD says Nokia 8 users will be able to view how the changes will affect the image in real-time. The Pro Camera mode has the same ring-style interface for controls seen on the Nokia Lumia smartphones. The new update reportedly arrives as version 4.88B and weighs in at over 600 MB in terms of size. While the update is currently being rolled out only to the Nokia 8, the same update is expected to be rolled out to other Nokia smartphones with Zeiss optics in the near future. 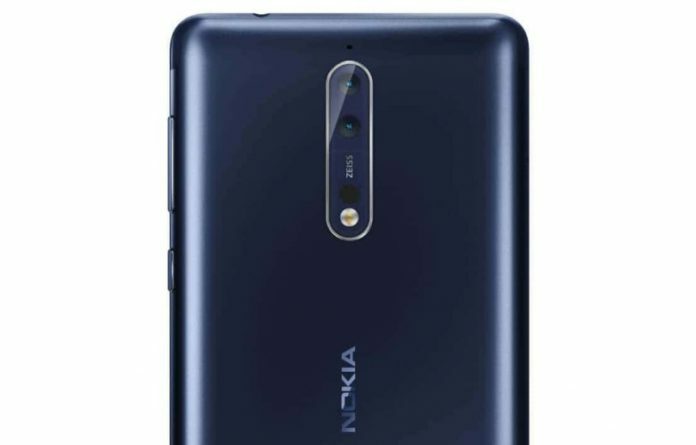 The mid-range Nokia 8 smartphone is currently available for under Rs.29,000 on leading e-commerce websites, making it a decent value proposition. It comes in four color options – Polished Blue, Polished Copper, Steel, and Tempered Blue. The Nokia 8 features a 5.3-inch IPS LCD display with 1440 x 2560 Quad HD resolution and a layer of Corning Gorilla Glass 5 on top for protection. Powering the Nokia 8 is a Snapdragon 835 octa-core processor clocked at 2.5 GHz with an Adreno 540 GPU. In the memory department, Nokia 8 includes 4GB of RAM and 64GB of internal storage. The smartphone does not include a dedicated microSD card slot, you only get a Hybrid Dual-SIM slot. At the rear is a 13MP (color) + 13MP (monochrome) dual-camera setup with the primary sensor featuring optical image stailization. Both the sensors are paired with ZEISS optics. On the front is a 13MP selfie camera with an f/2.0 aperture lens. Connectivity features include Wi-Fi 802.11 a/b/g/n/ac dual-band, Bluetooth 5.0 Low Energy, GPS with A-GPS, GLONASS, BeiDou, NFC, USB Type-C, and 4G VoLTE. The smartphone is fueled by a 3090mAh capacity non-removable battery with fast charging support.